2. Mainly used in home appliance or Auto motive. 3.Use UL2651#28 wire or rainbow wire. 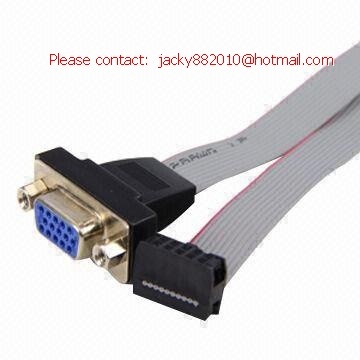 4.connectors can be AMP, MOLEX, JST HIROSE, Cvilux, FCI, or other brand can be equivalent. 7. Connector from 8pin to 50pin. 8.Wire can be rainbow or UL2651#28 gray / color flat cable.